While it is a subject that has frustrated many high school students, chemistry is essential to modern life. Likewise, chemicals are essential to everything from medicine to transportation. Still, many useful chemicals are dangerous and chemical exposure can be illness-inducing and life-threatening. As an Oakland chemical exposure lawyer, Attorney Brod uses the legal system to help people injured by dangerous chemicals recover monetary compensation and also brings wrongful death lawsuits on behalf of families who have lost a relative due to chemical exposure. These cases, often classified as toxic tort lawsuits, call upon his legal expertise and his ability to work with expert witnesses to convey complex science to judges and juries. Investigators with California’s Division of Occupational Safety & Health (“Cal/OSHA”) are looking into an accident that sent a worker to the hospital when, for the second time in only three months, dangerous chlorine gas was released at a Pittsburg plant. According to The Oakland Tribune the K2 Pure Solutions plant was shut down in December when an equipment malfunction in its liquefaction unit allowed a small amount of chlorine gas to be released. The plant’s liquefaction unit supplies chlorine to Dow Chemicals and the main portion of the plant produces bleach products for use by other customers. No one was hurt in December’s incident and the closed portion of the plant reopened in early January. A few weeks ago, on February 8, a second event involving the release of chlorine gas occurred, this time sending a worker to the hospital. Peter Melton, a Cal/OSHA spokesman, said that three individuals were exposed to the gas. While the incident occurred on K2 Pure’s property, the employees all work for Corey Delta Constructors, a construction and maintenance service provider. One worker, a 34 year-old man, was hospitalized for more than 24 hours before being released. Chlorine is one of the country’s most commonly manufactured chemicals, according to the Center for Disease Control’s Facts About Chlorine webpage. It can be used to keep homes clean and kill bacteria, making drinking water and swimming pools safe, as well as in the manufacture of rubber, paper, cloth, solvents, and pesticides. Exposure to chlorine can cause pain, blurry vision, vomiting, chest tightness, fluid in the lungs, and trouble breathing – all of which explain its use as a weapon in World War One. There is still no true antidote to chlorine poisoning and medical treatment focuses on removing the chemical from the patient’s body. Chlorine poisoning can be deadly. When exposure to a substance causes injury, illness, or death, the area of law known as “toxic torts” can provide a remedy. The problem-inducing substances vary widely from toxins like chlorine gas to pesticides to pharmaceuticals. Sometimes exposure is accidental, sometimes it is purposeful but leads to unexpected (at least for the consumer) results, like a drug that leads to birth defects. Class actions are fairly common in the toxic tort area, such as claims brought on behalf of a neighborhood exposed to a toxic gas. 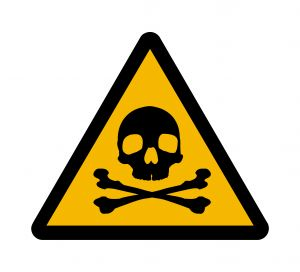 Toxic tort cases can be based on a number of different legal theories including negligence, intentional misrepresentation, failure to warn, strict liability, and wrongful death. Plaintiffs can include an injured individual, others impacted by that injury (such as a spouse who loses income taking care of the injured), or the surviving relatives when exposure is fatal. Attorney Brod understands the field of toxic torts. He knows how to investigate a case to identify all potential defendants and develop evidence to prove that the exposure caused the injury, illness, and/or death. He has worked with countless experts to convey complex science to a jury. These steps allow Attorney Brod and his legal team to help clients recover monetary damages from those responsible for the incident, whether via individual claim or through a class action. For more information, call our toxic tort law firm in Santa Rosa, San Jose, Oakland, or San Francisco.